My best friend, Buck Roy, and I liked to hunt. I guess that was because hunting involved guns, and we loved guns. Fortunately, we grew up in a time and place where guns and hunting were not looked down on. 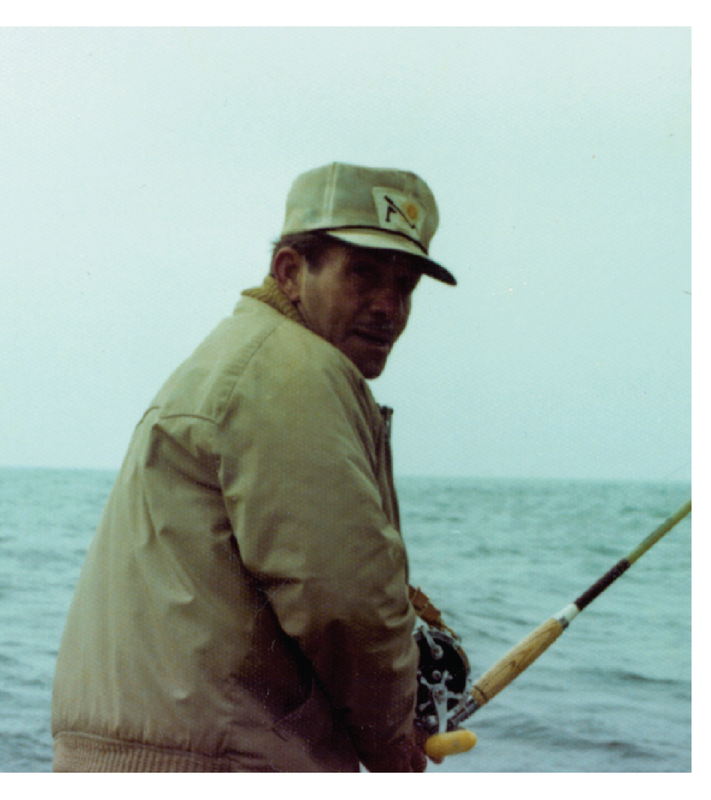 I hunted most of my life, and Buck was on many of the trips. Rabbit, squirrel, and dove hunting evolved into deer hunting, and I became so obsessed with deer hunting that I began thinking about the next season six months before it started. But that is in the past. I have not hunted deer in fifteen years now and, strangely, don’t miss it. I still like to shoot guns, and I may have one more deer-hunting trip in me (under the right conditions), but mostly I am finished with that. I do have some very strong and fond memories of hunting trips as a teenager with Buck and later as an adult with my oldest son, Heath and even later with my younger son, Ryan. But one trip with Buck, when we were teenagers, will always stand out in my mind. I relate it here. Buck and I were invited to go dove hunting with his dad, IA Roy, and his dad’s two brothers Ralph and Gus. Buck warned me before the trip that his dad and uncles could be a little strange when they were together (I had never met Gus or Ralph), and they liked to play tricks on each other. Little did I suspect what I was in for. We hunted some fields upriver from Kenner in St Charles Parish. The fields were pastures and not really good dove country, but we were outdoors with shotguns and male bonding, so those details were only minor inconveniences. While we were working a field, which means we were walking through it hoping to encounter a suicidal dove or rabbit, Gus pretended to admire IA’s nice Browning shotgun and asked to let him try it for a while. IA agreed, and they switched shotguns. Gus had let Buck and me in on what he was going to do. What he did was eject the round of #9 shot from the chamber of IA’s Browning and insert in its place a shotgun shell used to scare off birds or other animals from airports or crop fields. When fired, instead of a shot column, the 12 gauge shotgun shell propelled a fused pyrotechnic charge about the potency of an M-80 firecracker (a pretty potent pyrotechnic in our day) that would detonate upon arrival amongst said birds or animals and frightened them off. It didn’t hurt them, unless it actually landed on one when it went off, but it sure scared them to have a loud explosion in their midst. Gus expected we would encounter the previously mentioned suicidal dove or rabbit, and IA would fire off this nice Browning, but instead of a satisfying loud bang and a dove crumpled and crashed, it would give off an unsatisfying, un-shotgun-like pop as it propelled the explosive out in the general direction of the suicidal dove or rabbit, whereupon when the fuse burned down, said M-80-type charge would explode in a very un-shotgun-shell-like fashion. And the rest of us would all break out in belly-holding guffaws, while IA tried to understand what had just happened. It didn’t work out that way. In fact, it worked out even better! IA had a trick up his own sleeve, which ended up backfiring on him. No suicidal dove or rabbit showed up, and soon we came upon a fence line with a shallow, water-filled ditch along side. It was just wide enough one could step over with a bit of a stretch. Gus stepped over the ditch first, and that is when things got interesting. Now, what IA did was dangerous, so—KIDS, don’t try this at home! As Gus was stepping over the ditch, IA fired his shotgun into the water with the intention of the shot load splashing muddy water all over Gus. But instead of the loud boom and the big splash he expected, IA got a mild pop and a small splash when the M-80-like pyrotechnic hit the ditch water. There it sat hissing and smoking as the fuse burned down. IA was initially stunned by all this and said “What the—?” as he leaned over to examine the strange, hissing and smoking lump of “what the—” in the ditch. About then the “what the—” exploded and showered IA with ditch water, most of it directly in his face. And we all doubled over in belly-holding guffaws! IA snatched Gus’ brand new ear-flapped hunting cap off his head and launched it into the air, threw up his soaking-wet Browning and blasted it twice before it hit the ground.